Neill Strain gives a preview of spring flowers at The Flower Lounge in Belgravia to inspire us for Easter decorations and gifts. Gorgeous colours and exquisite blooms, Easter flowers offer a fragrant feast for all the senses. Deliveries available throughout London. Easter floral arrangement in a container with Roses, Viburnum Opulus, Craspedia, twigs and accessories. Easter is an exciting time of the year for a florist as spring offers such a wide variety of flowers that are highly fragrant, lush and delicate, bursting with the beauty and energy the longer daylight hours brings us. Many of the flowers we recommend will change slightly from year to year, depending on the March or April date and, of course, the new varieties that our growers introduce. 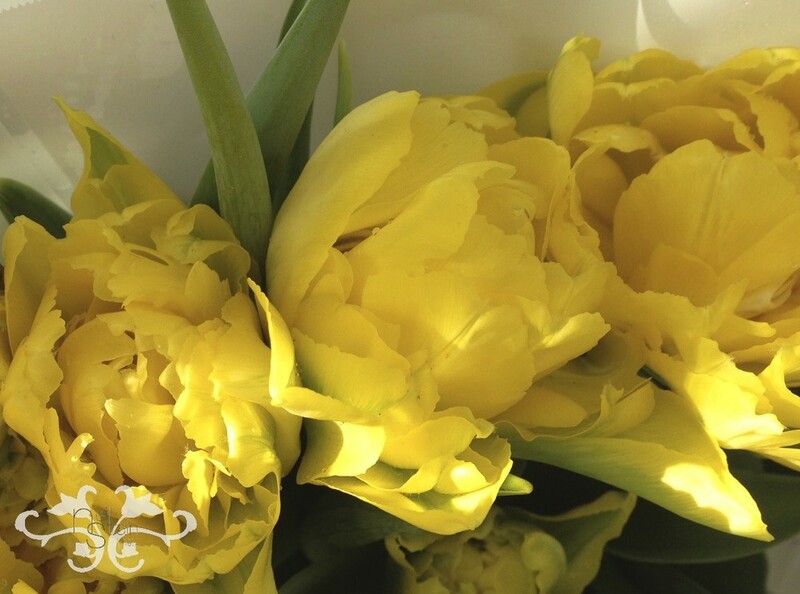 Yellow Double Tulips, a classc Easter flower choice. Tulips are undoubtedly one of the classic choices for Easter. Tulips are extraordinary flowers, often a favourite of florists for their variety, rich colours, different forms and adaptability to design. Growers have come a long way from the traditional single blooms that we enjoy in the garden. There are many types of Tulips: Single, Double (the ones that look like Peonies), Fringe (rather frilly), Lily, French and the famous Parrot which resemble those Tulips that caused the world's first financial speculative bubble in 1636-37 in the Netherlands known as Tulipmania. 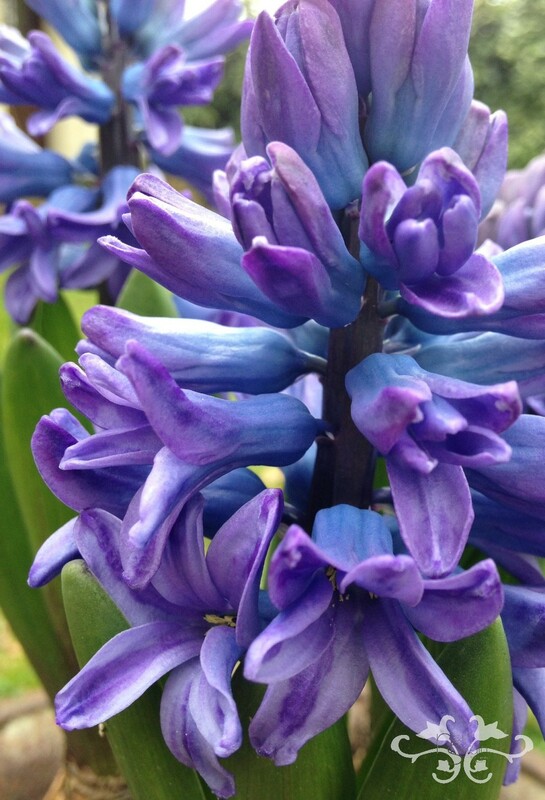 Hyacinths are one of my personal favourites. Their scent is exquisite and they remind me of my grandmother's garden in the springtime in Ireland when I was growing up. There are many colours, blues and purples, white and shades of pink; the newest variety is bright yellow, so perfect for Easter! 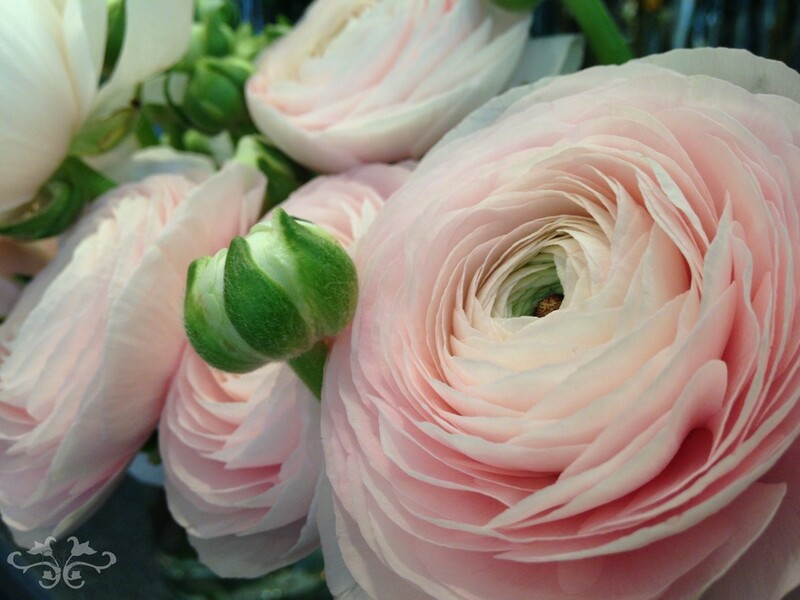 One of our "best sellers" at The Flower Lounge in spring is Ranunculus. 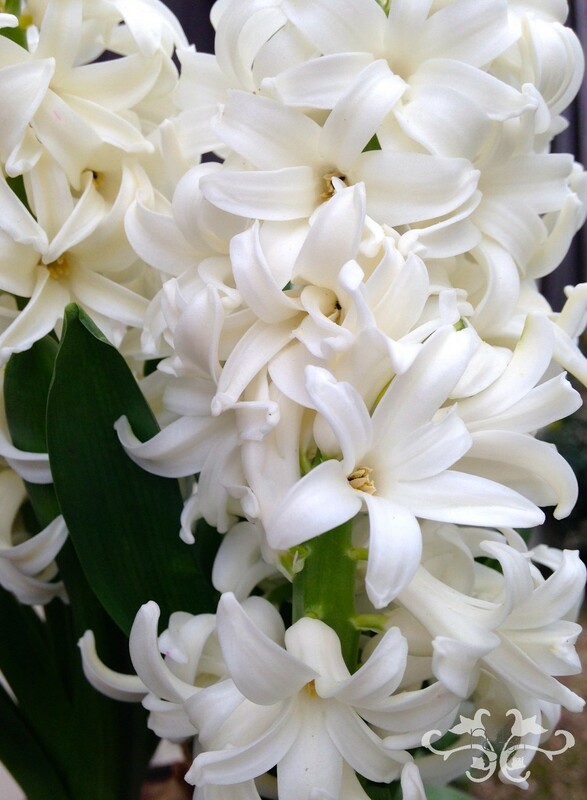 These romantic flowers, the largest blooms coming from France, are a pure delight at Easter. They are grown in Italy and Holland as well as France. Their petals are paper-thin, so delicate and so abundant that they can easily be mistaken for a garden Rose. Infact, there are varieties of Roses known as Ranunculi Roses for this very reason. These are a mere few of the flowers currently available in our Belgravia boutique. If you're in the neighbourhood, please drop in as we're very proud of the quality and quantity of our blooms. We can design a bouquet or arrangement for any gift portraying any message; we can florally style your home for Easter celebrations; we also have some fabulous spring plants to decorate both interiors or exteriors with the charm of the season. Muscari and Campanule make gorgeous spring planters or window boxes. No presentation of Easter decorations is complete without the traditional Easter Tree. Hence, I'd like to share a special treat with you, a 5 metre tree that we recently created in Leicester as a tribute to Richard III for his reinterment. 2,000 Avalanche Roses and sprigs of Genista (Broom) produced a symbolic design that is fittingly appropriate just before Easter. Whatever you might be planning for Easter, do come and visit us at The Flower Lounge for inspiration and discover all the extraordinary spring flowers and designs we have on display, or let us create something exclusively personal for you, your friends or family. And if you are enjoying our blogs, please subscribe via e-mail or post a comment at the bottom of the page below.